HIV Progression - Genetic fossils show way! Human DNA contains the remnants of ancient retro viruses known as human endogenous retroviruses (HERVs), which are genetic fossils, that under normal circumstances remain dormant and always genetically stable. In earlier work, a team of researchers led by Douglas Nixon of the University of California, San Francisco, showed that HIV infection activates HERVs that lie inside HIV-infected cells in some individuals (but not those in non-infected cells), by interfering with regulatory compounds that normally prevent expression of these HERVs. The activated HERVs produce proteins that attract immune system T cells to the HIV-infected cells, targeting them for destruction. In a recent publication in Journal of Virology, research team from the the University of California, San Francisco led by Dr.Devi SenGupta has extended these findings to include individuals who have long-term chronic HIV-1 infection. They compared the responses of a tiny subset of individuals who are unique in their ability to suppress the virus indefinitely without the aid of combination therapy to those of patients on highly active antiretroviral therapy, virologic non-controllers, immunologic progressors, and uninfected controls. They have demonstrated that a strong anti-HERV response corresponds to a lower viral load, and a higher CD4+ T cell count. Interestingly, strongest HERV responses were observed in the controllers who lack HLA alleles that are associated with protection from HIV-1 disease progression, suggesting that there may be an alternative mechanism of HIV control (such as HERV-specific cytotoxic T cells) in these controllers. 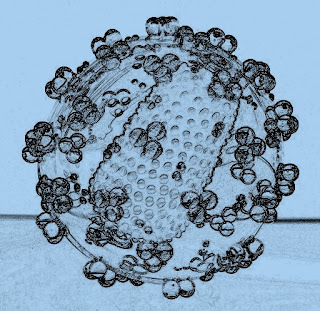 According to the researchers, a vaccination targeting proteins produced by the HERV genes could probably help the immune system keep HIV in check.